A 29 yo married female brought unconscious to casualty with history of mild fever and headache since 3days. CT brain on admission was normal. Csf showed Pleocytosis and elevated proteins. MRI brain Diffusion and axial FLAIR images show insular and medial temporal faint abnormal T2 hyper intensity with restricted diffusion on Dw images. Involvement is bilateral but asymmetrical. Basal ganglia and thalami are spared, is very typical of herpes encephalitis. Infarct ruled out as there is no intra cranial major vessel stenosis or occlusion on MR Angio particularly the MCA. Syn : Herpes simplex encephalitis (HSE) caused by herpes simplex virus type 1 (HSV-l). Location wise typically involves Limbic system in that commonly involves temporal lobes, insula, subfrontal area and cingulate gyri. May involve cerebral convexity and posterior occipital cortex. Often bilateral disease but asymmetric. Atypical patterns seen in infants and children where involvement of cerebral hemispheres noted primarily. Rarely, may affect mid brain and Pons. CT often normal early. May see ill defined areas of low attenuation, mild mass effect in medial temporal lobes, insula. Hemorrhage is a late feature. Patchy or gyriform enhancement of temporal lobes on post contrast is a late feature. On MRI , areas of T2 hyper intensity with restricted diffusion on Dw images. Mild, patchy enhancement on post contrast T1 early in disease. Gyriform enhancement is feature of late disease. May see focal abnormal lepto meningeal enhancement. MR is most sensitive for diagnosis. FLAIR and DWI are the most sensitive sequences sufficient for diagnosis when patient is non co operative. Imaging is often key to diagnosis. - A rare paraneoplastic syndrome associated with a primary tumor, often lung. - Predilection for limbic system, often bilateral. - Hemorrhage is not present. 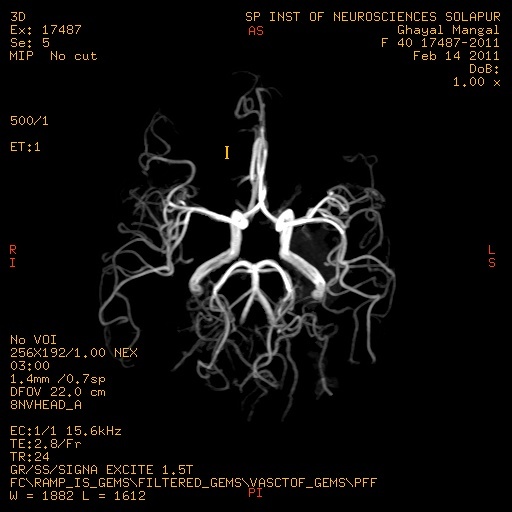 - Imaging may be indistinguishable. - Restricted diffusion on Dw images is more intense compared to Herpes. - Active seizures may disrupt BBB, cause signal abnormalities and enhancement. 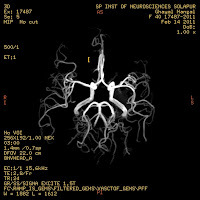 - Temporal lobe epilepsy hyperperfusion may mimic herpes encephalitis. Herpes viruses include HSV-l, HSV-2, Epstein-Barr, cytomegalovirus (CMV), varicella-zoster virus (VZV), B virus, HSV-6, HSV-7. HSV-l infection is common in adults and children, typically related to viral reactivation where as HSV-2 more common in neonates. HSV-l invades along cranial nerves (via lingual nerve, a division of the trigeminal nerve) to ganglia. HSV-l remains dormant in the trigeminal ganglion. HSV-l reactivation may occur spontaneously or be precipitated by various factors like Local trauma, immunosuppression, hormonal fluctuations, emotional stress. HSV-l causes 95% of all herpetic encephalitis, most common cause of fatal sporadic encephalitis. Herpes is most common nonepidemic cause of viral meningoencephalitis. Age : Occurs at any age. Highest incidence in adolescents and young adults. Approximately 30% of patients are less than 20 years old. Other signs/symptoms : Altered mental status, focal or diffuse neurologic deficit in less than 30%. Children often present with nonspecific symptoms like Behavioral changes, fever, headaches, seizures, even coma and death. CSF studies show a lymphocytic pleocytosis and elevated protein. EEG shows temporal lobe activity. Early diagnosis and treatment with antiviral agents can decrease mortality, may improve outcome. Antiviral therapy with intravenous Acyclovir. of this topic, made me personally consider it from so many numerous angles. a site or I have something to contribute to the conversation. Usually it's caused by the sincerness displayed in the article I looked at. And after this article "Herpes Encephalitis MRI". of the responses come across like they are written by brain dead people?